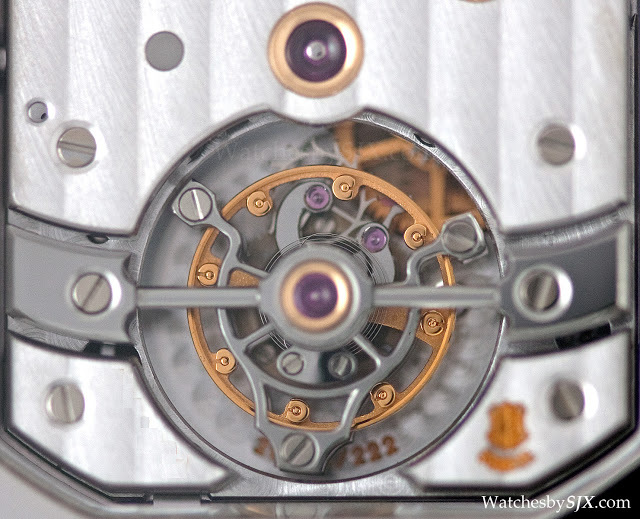 The 10 Day Tourbillon ref. 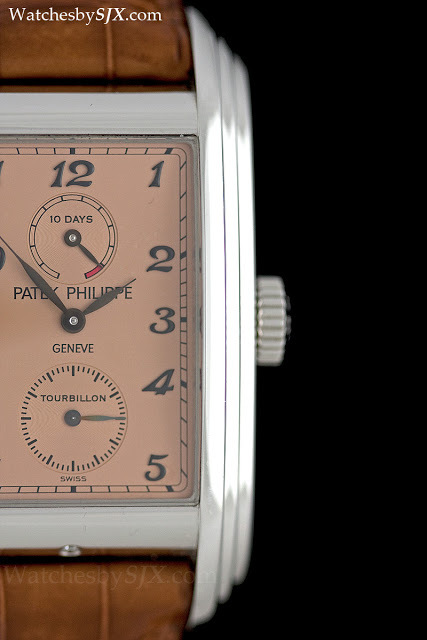 5101P is another grande complication from Patek that embodies this mastery of haute horlogerie. 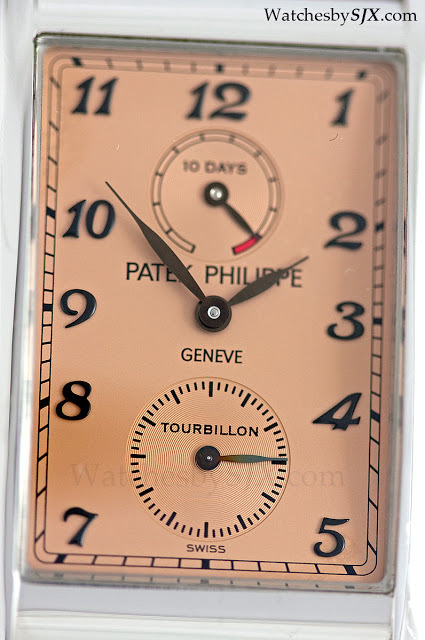 Patek Philippe is a grand old house with a phenomenal history in complications. 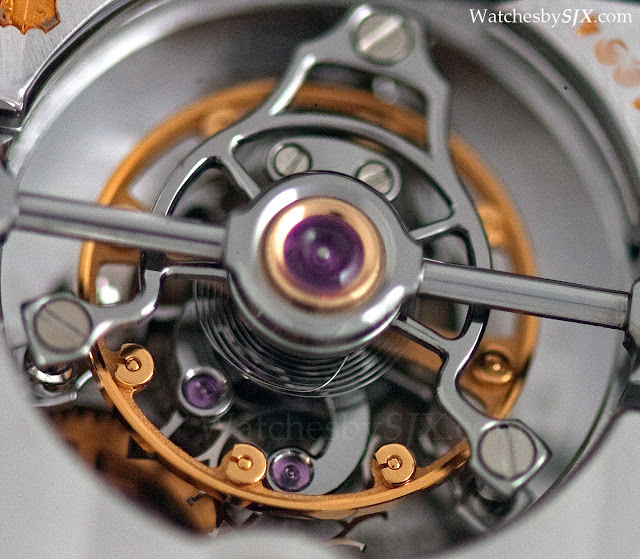 Today it still remains one of the top complications maisons, even though I find it’s entry to mid level watches, like the Nautilus or even the not so mid level 5131 cloisonne world time, expensive for what they are. 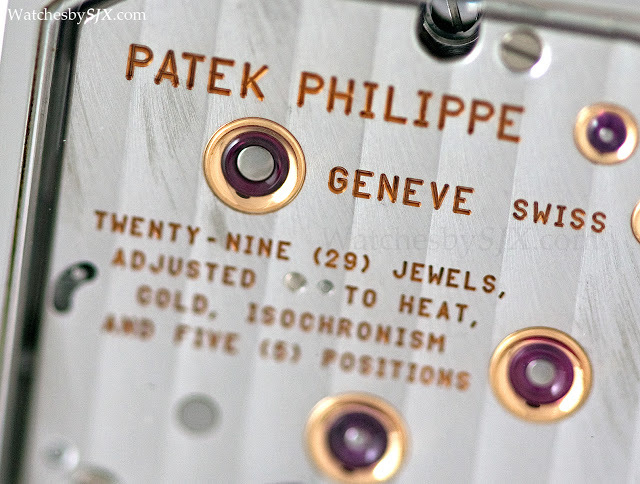 But at the top end of the complications spectrum, Patek movements have a flair that competitors lack. 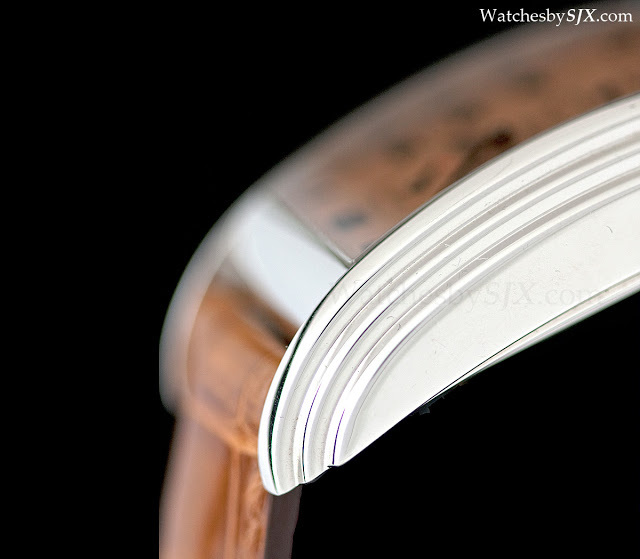 They just have that special something, like the spectacular ‘octopus’ wheel on the 5016 grande complication, that is perhaps reflective of the brand’s institutional memory and heritage (or maybe it’s just the Sterns). 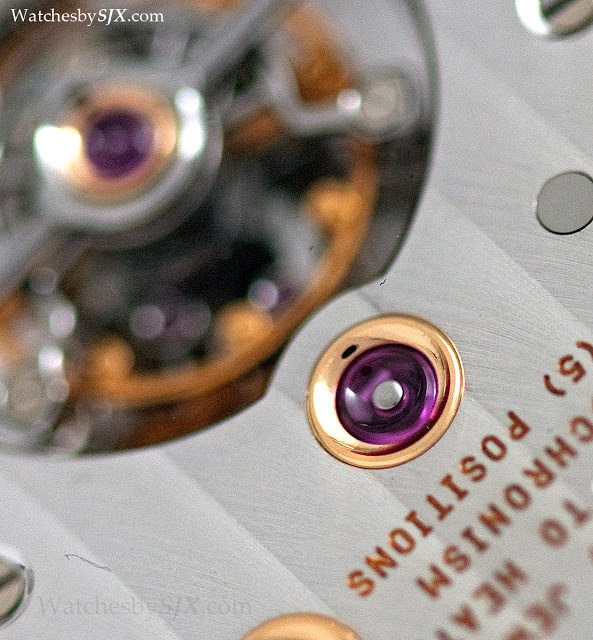 The 10 Day Tourbillon ref. 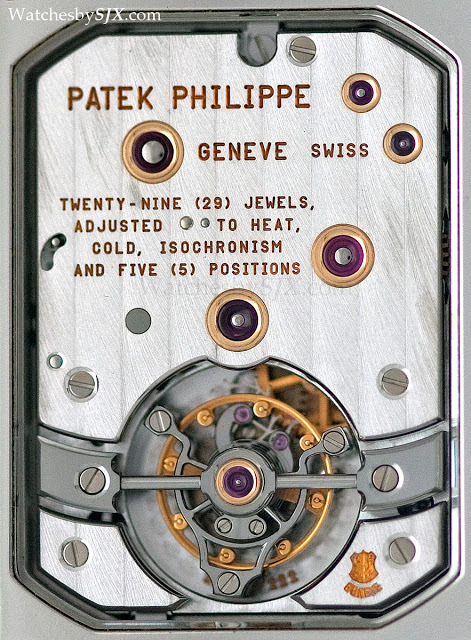 5101P is another grande complication from Patek that embodies this mastery of haute horlogerie. The finishing is of course spectacular, no doubt about that as these photos demonstrate. 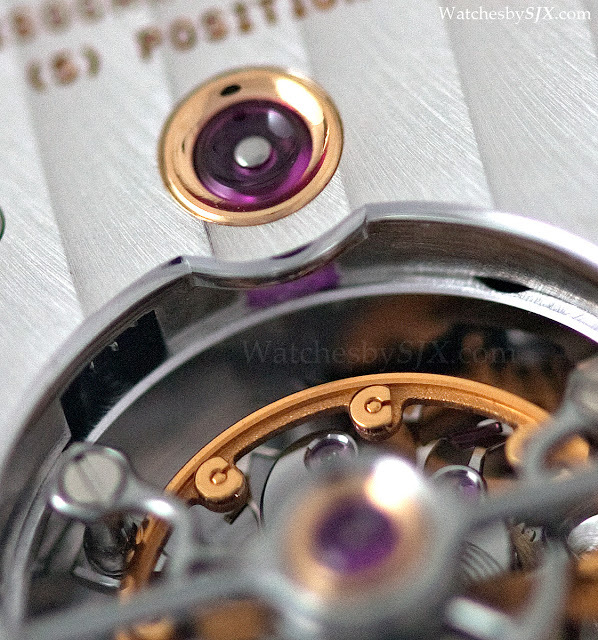 Like the octopus wheel on the 5016, the 5101 has wonderful details in its finishing that need to be seen up close. 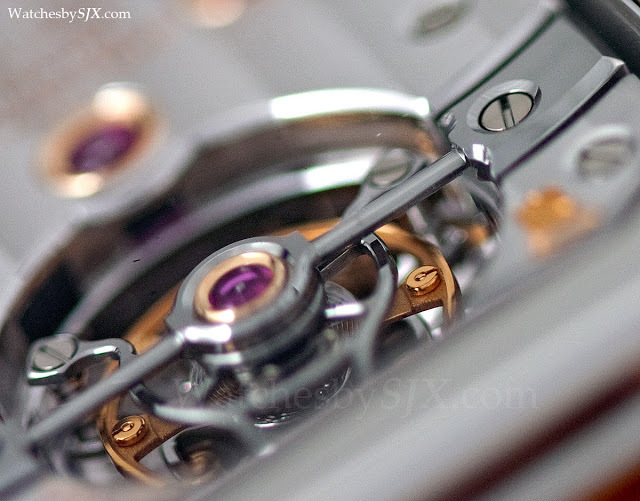 Specifically, it’s the four sharp points at the end of the black polished tourbillon bridge that prove why this is one of the most magnificent tourbillon watches today. This is an early 5101P and it still has the Geneva Seal. 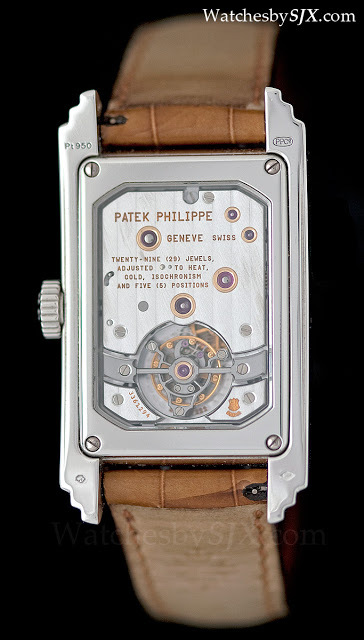 There is no tangible difference between the Geneva Seal and Patek Philippe Seal watches but I prefer the Geneva Seal. 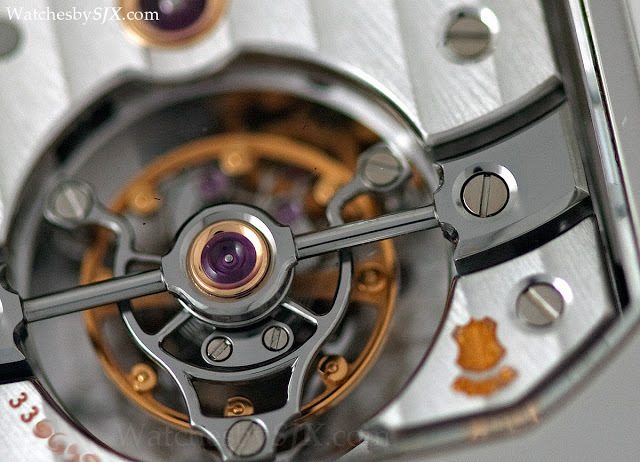 An obvious rival is the Laurent Ferrier Galet Classic Tourbillon. 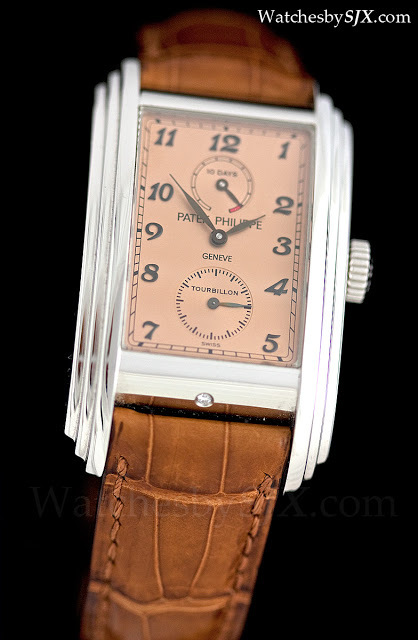 Impeccably finished as it is, the Galet Classic lacks the little extra finesse of the Patek in my humble opinion. 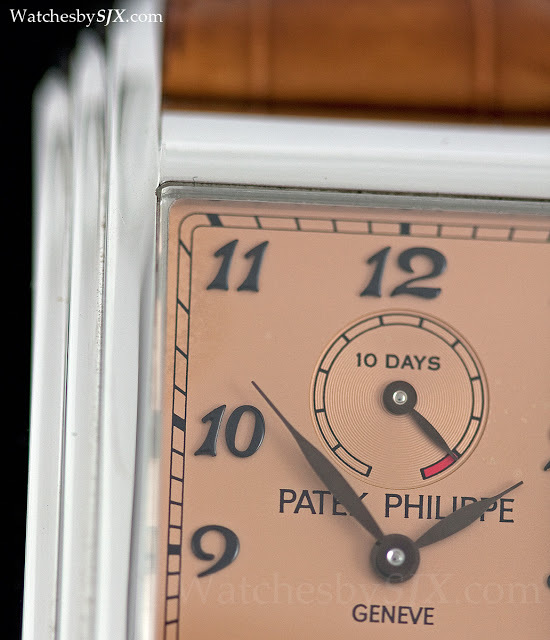 Historically Patek Philippe was also a first mover with this watch. 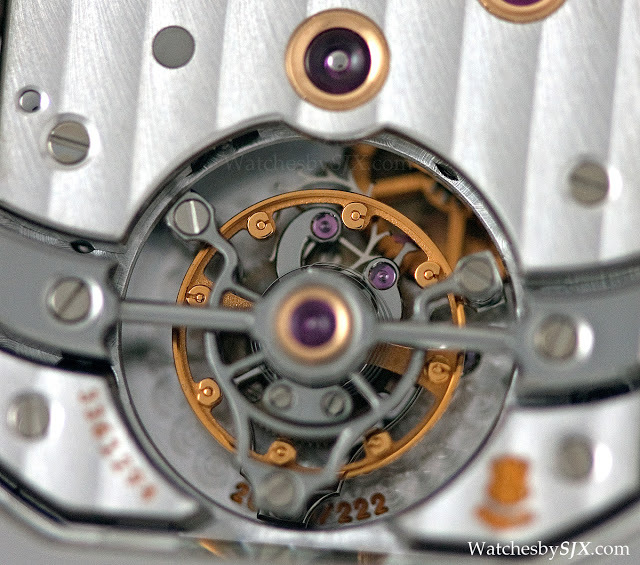 It was unveiled in 2003, just before the long, painful slide downwards of the tourbillon as a true high complication. 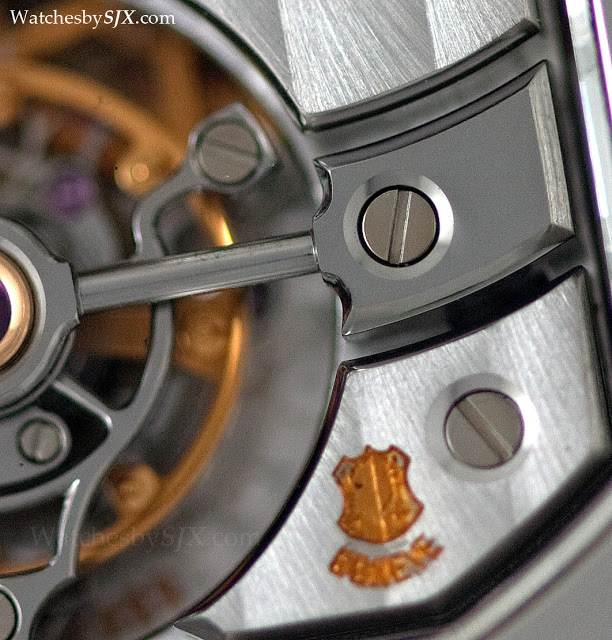 Not only is it a tourbillon but it also has a 10 day power reserve, which is unusual back then. 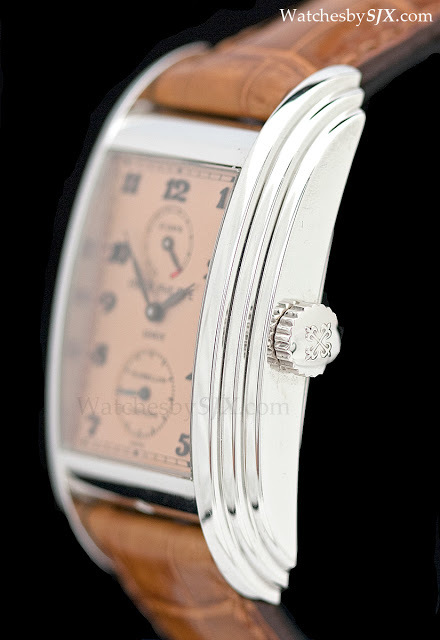 Aesthetically I love this watch as well. 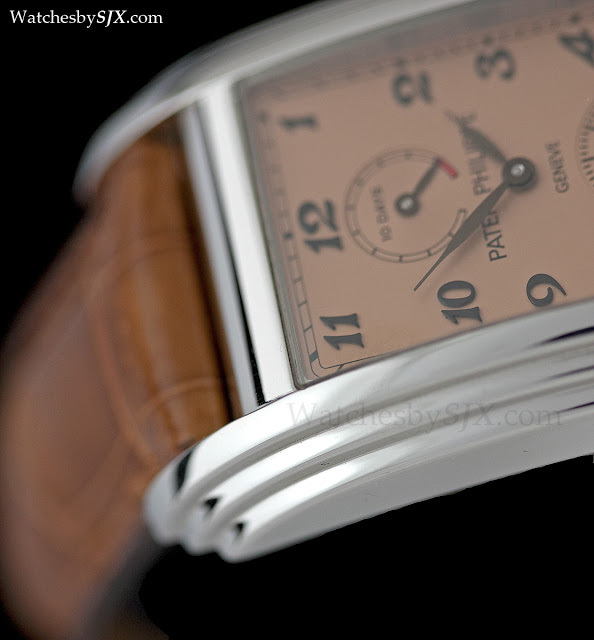 The long and sleek case is distinctively Art Deco, with its stepped sides. It reminds me of the Chrysler Building, one of the most beautiful structures in the world. 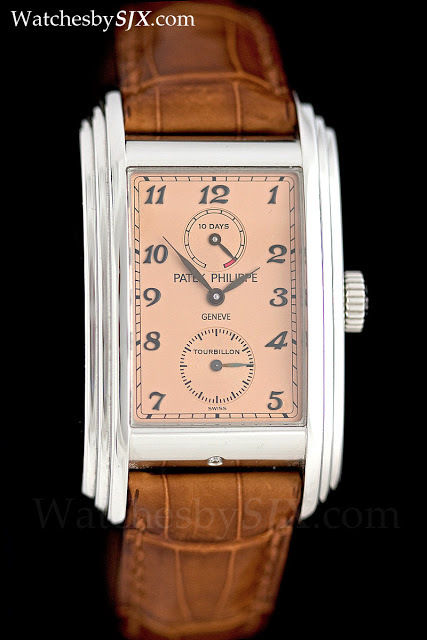 This platinum model pictured with the salmon dial, with blackened gold hands and indices (which unfortunately often discolour), was the first version launched and is now discontinued. 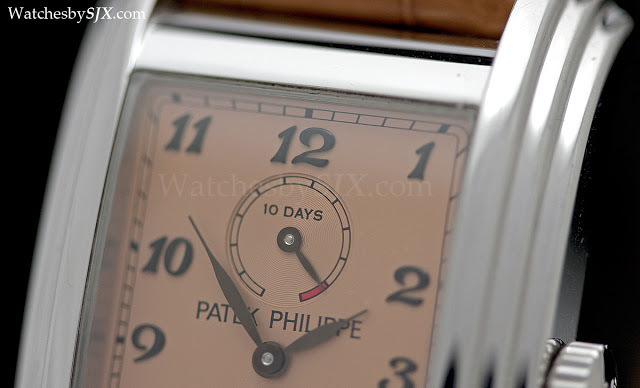 It has been replaced with a less attractive yellow gold model with a lacquered enamel dial.